Organic farming in Portugal has steadily increased in the past years. From only 73 producers in 1993, it rapidly grew to more than 1,500 in 2005. Today, more than 2,000 km2 are managed organically, which testifies to the prevailing dynamics. The farmers’ sudden interest in organic agriculture clearly has to do with the financial support offered by the European Union and higher market prices. In some cases, such as the olive groves of the northern and central regions, traditional farming approximates organic farming methods, which eases conversion. With horticulture or orchards, the change is not so easy, and therefore there are not as many farmers converting. The supply is still less than the demand, reflecting the fact that organic farming is still at an initial stage. The Portuguese are growing more conscious of health and the environment, which explains the rising interest in natural foods and fibres. Their increasing purchasing power encourages this development. However, these positive factors for the expansion of organic production may not be enough to guarantee a continuous increase in the future, since several obstacles hinder the farmers’ performance. There DUII level is.05, they have no tolerance for drunk or buzzed driving. That’s almost 1/2 the .08 in the US. I had a rash that I tried to treat before I left, didn’t work. So the hostel people told me to go to the hospital. $200 upfront, I asked for a clinic and took the subway to get there. $6 visit and $10 for the prescription. I brought back the information to the Hostel, now they’re recommending the clinic instead of the hospital. There was an on again off again path along the water. Public workout stations, restaurants & tons of tourist & locals. I got lost on the way home, saw a metro sign & rode the subway back. It’s more than time to ride, I’m ready. 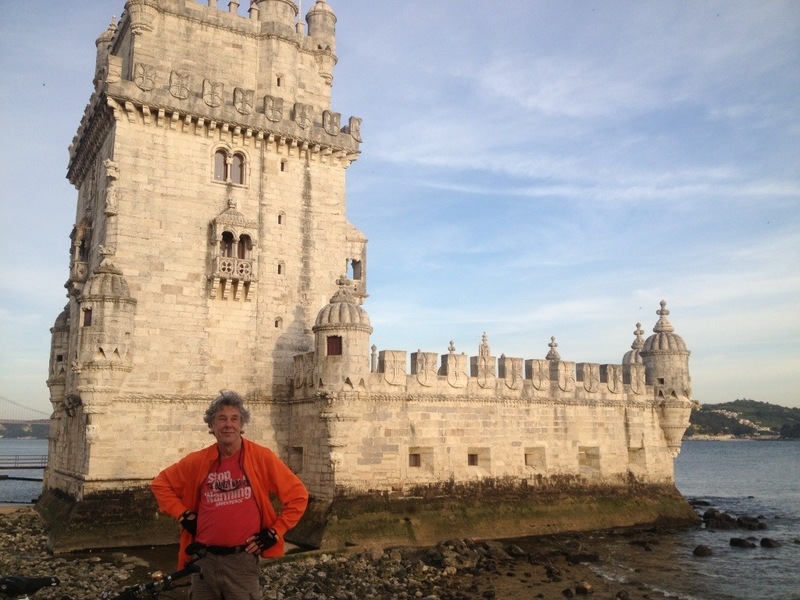 This entry was posted in Lisbon on April 20, 2013 by jeffsbiketour.